Money. Let’s face it: most artists aren’t very good with it. Most of us don’t have much to invest into our music career (relatively speaking), and when we do, we tend to throw it at some random opportunities without a larger strategy in mind. Take, for instance, submission fees to music festivals. Each year, thousands of artists spend over $100 in application fees or subscription costs to EPK sites, in hopes of getting a show at SXSW, CMJ, Bumbershoot, or other large festivals. Personally, I think festivals are overrated in terms of importance for your career, but if you really want to get in, try reading this guide: How to Get Into SXSW. You can easily spend $100 on strings, picks, or sticks. You could even buy a cheap electric guitar. Or, if you were riding in my tour bus, $100 almost covers the gas from Portland, OR to Seattle, WA. 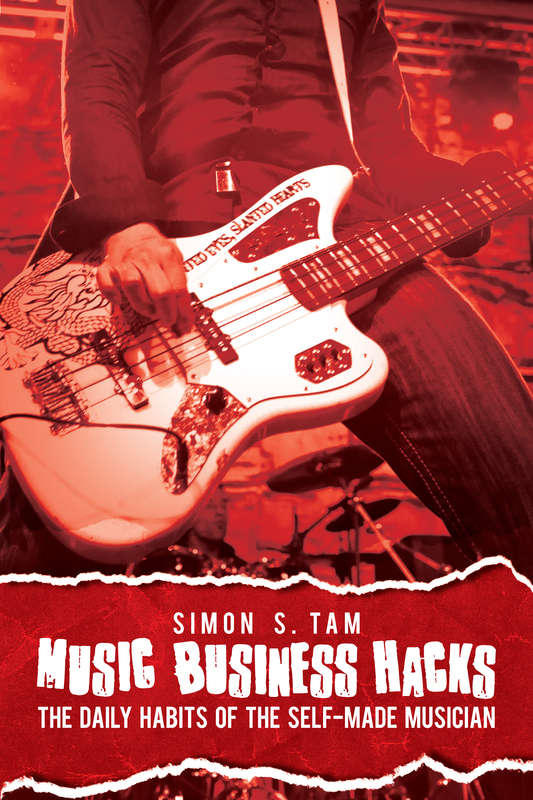 Music Business Education: While $100 probably won’t get you far in personalized lessons (vocal or instrument), you could easily pick up a small library of fantastic books that can teach you a thing or two about the music industry. Here are my personal recommendations. These are some of the best books out there that you can get for your music career. Get Some Personal Advice: Maybe you don’t want to wade through a few thousand pages of information, maybe you want an industry professional to look at your exact situation and help plan out your next moves. For $100, you could get any number of industry pros to give you a personal consultation. With me, $100 would get you 3 one hour sessions. With Bob Baker (incredible author), it’s a little more – $150 gets you an hour. There are several of us out there, just look around. Get Some Merchandise: A hundred bucks can turn into more money if you invest it into some merchandise. You could easily order about 250 stickers from Sticker Guy and 100 buttons from Busy Beaver Buttons. If you sold those at $1 each, you would bring in $350. That’s a 350% return on investment. Make Your Own Merchandise: For $100 of materials and a lot of time, you could make your own screen printer for t-shirts, get a starter kit for making buttons, or order some custom guitar picks and buy ball chain necklaces, earring hoops, and cell phone charm hooks to create a full line of accessories. Let Your Banners Fly: As inexpensive as vinyl banners are, I’m surprised that I don’t see more bands with them. For $100, you could get a backdrop for your stage show and have a nice banner for your merch booth. It makes you a look a little more professional, gets your name/logo in photos that people take of your show, and lets bar patrons know who you are because, chances are, they can’t understand what you’re saying through the mic or don’t care. Hire a Publicist: While full-scale PR campaigns cost several thousand, many publicists will work the media for a single show for about $100. Maybe you want some press/reviews of your album for a CD release show? A tour kick off? A new music video? A publicist can do wonders and help boost attendance or visibility of any gig. These are just a few ideas to get your creative juices flowing, to get you thinking about your long term as well as short term goals. What is going to move your career further? What will make a better return on investment? After you spend the money, what will you have to show for it? So the next time you have some extra money that you’d like to spend on your music – whether it is $100 or $10,000, think about what you want to accomplish and how that investment will get you there. These are some great ideas, Simon! I especially agree with you about the banner. They are so versatile and a fantastic visual branding tool. Especially if you put your website, Twitter handle, and band name on them. So many bands mumble this information right at the end of a set, or forget to mention it at all. Also very cheap and quite useful is a band business card or small postcard with the same info. People like something to take away from a gig unobtrusively so they can explore your website and music later.